Creative IT London, a specialist HP laptop repair store in the United Kingdom, offers specialist HP laptop liquid damage repair services for customers nationwide. As specialists in liquid and water spill damage laptop repair services, we have successfully recovered thousands of laptop computers that have had water, tea, coffee, beer, milk, juice, alcohol, wine or coke spilled on them. We are also specialised in recovering data from flooded or drowned laptop hard drives of HP Compaq, EliteBook, Envy, HP Mini, Pavilion, ProBook and TouchSmart notebook models. The extent of liquid spill damage may vary. Water or liquid spill on your notebook keyboard may corrode the connections under the keys and short out connections. Sometimes liquid spillage may cause damage to your laptop keyboard or sometimes it will completely damage your laptop motherboard. No matter whatever the type of damage, our component level technicians are experts in HP laptop keyboard repair and troubleshooting and working with various types of HP laptop liquid damage repair requirements. Once we have received your damaged or defective laptop, we will perform a variety of HP laptop liquid damage repair procedures. Our experts will make a through diagnosis and assess the major issues caused by the spill. Our technicians will inspect issues down to the component level and will perform necessary troubleshooting and HP laptop motherboard repair services. All laptop spare parts are cleaned internally and externally and your laptop is finally tested to ensure complete stability. When your laptop is subjected to a liquid spill, it is important to take necessary steps to prevent further damage. You need to shut down your laptop immediately and unplug it. Turn your laptop upside down to prevent liquid from seeping into the laptop. Just bring your laptop to our repair store in Central London as soon as possible or you can mail-in your damaged laptop to our store address. 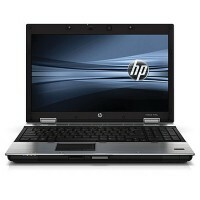 The Creative IT team can complete most of the HP laptop liquid damage repair services the same day. If we have to perform complex repairs such as component level repairs or motherboard replacement, our repair time may be extended.